One of the most popular features in my talks about SQL Server 2016 has been the temporal tables feature. If you aren’t familiar with this feature you can read more about it on Books Online here. In a nutshell, you get a second table that tracks the lineage of your data. This is fantastic for all sorts of scenarios up to and including auditing, data recovery, fraud detection, or even slowly changing dimensions. 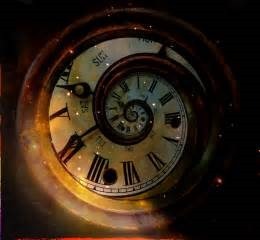 This is implemented in SQL Server via a history table—a second copy of your data that maintains timestamps of when the data is valid. As you can imagine this table can grow quite large—Microsoft does us a couple of favors: the history table is page compressed by default (you can use columnstore) and you could put the history table on a different filegroup. The only major issue was to truncate or delete data from history table for pruning purposes, you had to turn of system versioning, or the glue that makes that this feature work. Starting with SQL Server 2017 (and Azure SQL Database) you can define a retention period and have SQL Server prune records for you. This is awesome and easy—see how to implement here. DESCRIPTION: Always On Availability Groups transport has detected a missing log block for availability database "Database". LSN of last applied log block is (99939:95847:0). Log scan will be restarted to fix the issue. This is an informational message only. No user action is required. I’ve talked with the product team about it, and its just something that happens, and is more of an informational message. Based on some discussions I’ve have on #sqlhelp on Twitter, it may be related to not enough network bandwidth between nodes. But if you see these sporadically, relax, it’s nothing major. I’m blogging about this, because A) It’s something really awesome that the SQL Server team built and B) it seems to have terrible SEO, because it took me like three google searches to find the page. With the introduction of SQL Server Management Studio 17, the Tiger team at Microsoft built a plugin that allows you to debug and resolve memory dumps you may have encountered during otherwise normal operations. This is really awesome, as it is something that usually requires a support case with CSS. You will need SSMS 17 for this, as well as to install the plug in, which you can get here. After that you can quickly get feedback on your dumps. Microsoft have even built an API, so if you want to built something automated to upload your dump files using Python or PowerShell you can. Nacho from Microsoft also has a blog post on it here. My theory was that a bad hash join was taking place and causing the wait. The thing that was very curious about the situation is that waits were only occurring on the readable secondary replica. At first, I tried to examine the query store to try to understand if there were multiple execution plans for a given query. The one problem with that is the readable secondary copy of the data is read-only, which means on that secondary replica you only see the query store data from the primary replica. If there was a plan that was specific to the secondary, I’d have gather them from the plan cache on the secondary. (Thanks to Erin Stellato (b|t) for this idea). There was one other problem—the code in question was executing as dynamic SQL from a stored procedure when meant it was always getting a new execution plan. Ultimately I think any thought of the readable secondary having a vastly different plan was a red herrings. Statistics are going to be the same on both instances, and if there were a missing statistic on the secondary, SQL Server would create it in TempDB. Anyway, columnstore indexes don’t use statistics in the traditional sense. Fortunately I was able to catch a query in the process of waiting on HTDELETE, so I no longer had to look for the needle in the haystack, and I could get to tuning the plans. 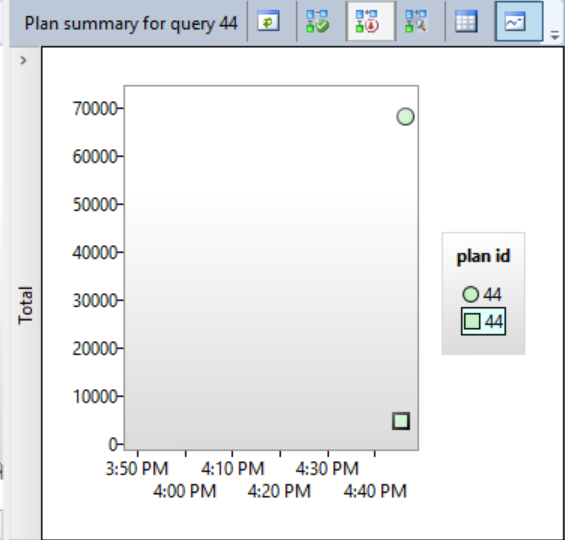 I was able to grab the SELECT part of the query and generate an estimated plan on both the primary and secondary nodes. The plans were virtually the same on both nodes, with just a minor difference in memory grant between them. The pattern here was that we were taking all of rows of an ID field in a columnstore index with about 350MM rows and joining them to a function that has 3500 rows. My gut instinct was this was a bad match for batch mode hashing. Additionally, SQL Server was recommending I create a b-tree index on the large columnstore table. there was a key lookup in the plan that I wanted to eliminate, but my hunch was that this join was causing the waits. So before I created the index, the query was taking at least 2-4 minutes, when it wasn’t getting hung on the HTDELETE wait. After I created the first index, we got done to about 15 seconds. SQL Server then recommended that I create another index on one of the join tables, which brought my query time down to sub-second. The plan looked a lot more traditional and had lots of my favorite operator INDEX SEEK. Sometimes you need non-clustered indexes on columnstore indexes. It stinks, because they do add space, but its hard to argue with a performance gain like this. I need to email some friends on the product team to ask, but I’m therorizing that the join was super expensive and causing the query to hang. Anyway, the real answer is to never stop tuning and trust your instincts. Thanks to Sentry One for making Plan Explorer Free. I used it for the screen shots and anonymization in this post. One of the recent feature introductions to SQL Server is dbcc clonedatabase, a feature that lets you create a “data-less” clone of you database. All of the statistics and objects come into your cloned database, however none of the data does. This is perfect for development or performance tuning exercises, where you want all the metadata, but do not want the security risk of dealing with production data. Recently I had the opportunity to use clonedatabase on a very large database. I was concerned about the size of the data files and how this would impact space on my volumes. Books Online is fairly clear, but I wanted to see for myself. So my thought in reading that, is that the same number of data files will be created in the clone, just with the settings in model. Let’s test that out. The first thing I did was create a new database, and then add a few data files to it. I made them 20 MB, which is a different size than model—just for testing purposes. Next, I ran the clone database command. I can see that all of the files were created, in the same location as the files on the source database, except with the size settings of model. While this shouldn’t be a big deal for most, if you do like I recommend and make model a reasonable size for your environment, and you happen to be tight on drive space, you could fill up a volume. So just be aware when using clonedatabase particularly with databases that have a lot of data files in them. Dynamic Data Masking is a presentation layer that got added to Azure SQL DB and SQL Server 2016. In a nutshell it prevents end users from seeing sensitive data, and lets administrators show some data (e.g. the last 4 digits of social security number) for verification purposes. I’m not going to focus too much on the specifics of data masking in this post—that’s a different topic. This is how once you have a masking strategy you can protect your sensitive data going to other environments. Well at PASS Summit, both in our booth and during my presentation on security in Azure DB, another idea came up—exporting data from production to development, while not releasing any sensitive data. This is a very common scenario—many DBAs have to export sensitive data from prod to dev, and frequently it is done in an insecure fashion. Doing this requires a little bit of trickery, as dynamic data masking does not work for administrative users. So you will need a second user. First step—let’s create a database and a masked table. Next I’ll login as this user and select from the membership table. From here, I’m going to (as the TestUser) take an export of the database. You can do this by selecting the Export Data Tier Application option from the tasks menu in Management Studio. I won’t bore you with clicking through the process, but this will give you an export of your database, with the data masked. Your next step is to import the .bacpac file you created. In this case I’m going to the same instance, so I changed the database name. 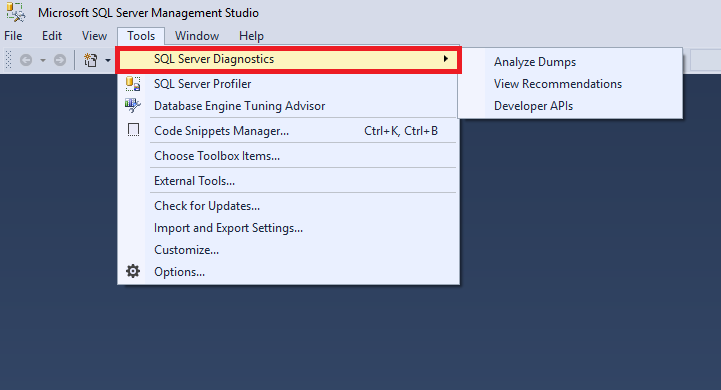 Right click on “Databases” in SSMS and select “Import Data-tier application”. Import the file you created in the previous step. Now try selecting as your admin user. Boom, you’ve exported and imported masked data in your lower environments. Circles and Squares–What Do They Mean in the Query Store? Denny Cherry and I are on a tuning mission this week, and fortunately the customer has SQL Server 2016, so we don’t have to waste a lot of time finding out problematic queries in the system. However, we were a little bit confused when we saw a graphic in the query store diagram today. You will note that plan 44 has two durations, and even though has a single a plan id, the table to the right of the plan summary window indicates two plans. You will note that one of the plans is represented by a circle, the other a square. So what does this mean? If the query is circle that means it completed. When the icon is a square that represents query that is cancelled, but had a plan generated for it. In this case I cancelled the query in SSMS. We can confirm by looking in the Query Store catalog views. The second run of the query shows as aborted and is represented as such in the query. Last week was the PASS Summit, which is the biggest confab of SQL Server professionals on the planet (and educational as ever), Denny Cherry (b|t) and I ran into Bob Ward (b|t) of Microsoft and of 500 level internals presentations. And for the first time ever, Bob asked us a question about SQL Server—of course we didn’t know the answer of the top of our heads, but we felt obligated to research it like we’ve made Bob do so many times. Anyone, the question came up a Bob’s internals session on Hekaton (In-Memory OLTP) and whether it supported the new Always Encrypted feature in SQL Server 2016. I checked books online, but could not find a clear answer, so I fired up SSMS and setup a quick demo. Let’s get started with setting up Hekaton. — create database with a memory-optimized filegroup and a container. In that code, I’m just doing the setup for In-Memory OLTP—you need to added a filegroup, as well as enable the MEMORY_OPTIMIZED_ELEVATE_TO_SNAPSHOT_ON. Next, we needed to setup up Always Encrypted. In order to configure this, you’ll first need to setup a Column Master Key, and then a Column Encryption Key. I took a sample table from books online, and attempted to encrypt it. With that T-SQL (and a couple of attempts at getting my parentheses in the right place) it just ran. Nothing major to do—just create table. I confirmed this behavior with Jos de Bruijn, who is the program manager for Hekaton.